Human resources are one of the most important assets in a small business. However, many small businesses do not have a designated HR department leaving the job entrusted to the owner or executive of the business. Unless you are outsourcing HR either through your Broker or an HR Consulting agency, human resources functions managed in-house are subject to problems in relation to the hiring process, employee training, performance management, safety, benefits, and communication between employees and/or management. As HR carries a major responsibility, it’s important to recognize these problems and learn how to avoid them. Here’s a look at some of the most common HR issues for small businesses and how to prevent them from occurring. Many problems in the HR department stem from an inadequate hiring process. Mistakes are commonly made during the hiring process which can be detrimental to your business’s performance and growth. Some of the most common issues include poor job descriptions that attract non-qualified applicants and a hurried interview process that results in the hiring of substandard employees. In fact, a 2013 study found that a single bad hire can cost more than $50,000. To avoid problems associated with the hiring process, ensure that your job descriptions are detailed and concise. 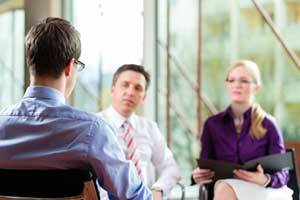 Interviews should be consistent and performed in a way that attracts quality talents. Depending on where your business is located, you’ll need to comply with local, state, and federal laws concerning vacation, paid leave, breaks, and overtime for your employees. Without a proper monitoring system, it can be difficult to determine if your employees are receiving proper pay when they’re not working or working additional hours. 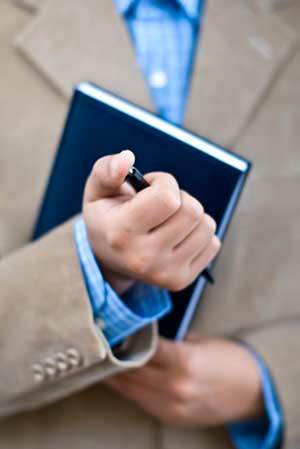 Create and enforce a system that ensures that all breaks and overtime is documented in writing. Avoid having employees hang around while not actively working. You can solve this problem by providing an employee break room or by requiring employees to leave the property during breaks. When you work in a small office or shop, it’s common for employees to become informal with management. While maintaining a relaxed atmosphere at the workplace is perfectly fine, employees and employers should maintain a professional relationship to keep discussions about performance and compensation productive and professional. When your employees see you as a friend first and boss a distant second, it blurs the lines between what is appropriate in the workplace. As part of management, it’s important to keep some level of professional distance from your employees to provide feedback, communicate expectations and organizational direction, and act as a leader. The Internal Revenue Service (IRS) is strict when it comes to how small businesses handle their employees. Misclassifying your workers is one of the biggest mistakes a small business can make. It can also be a costly one. While it may take several years before the IRS catches the mistake, the slip up can lead to hundreds to thousands of dollars in penalties. Many small businesses typically start employees with a 1099 status, when they should really be W-2 from the beginning. If you own a small business, ensure that you know the difference between an employee and a contractor. Unlike employees, a company does not have control over a contractor in regards to how they do their job or the financial aspects of the worker’s job. In a contractor agreement, a business does not have a written contract that describes the business relationship between the two parties. Not sure if your employees are classified as they should be? BBG has tools to help – just give us a call! Once your employees are hired, HR can be a valuable tool during training to minimize problems and prevent injuries from occurring. You may think that you don’t have the time to adequately train your employees but spending time training can ultimately improve morale and reduce your turnover. Remember that even experienced employees require training when placed in a new environment. In addition to training your employee, it may be wise to assign that person a mentor for the first week or two. A mentor acts as a safety net to give the new employee the confidence and knowledge he or she needs to be successful. Whereas insufficient training may fail to give a new employee the tools they need to be productive, having an outdated employee handbook may make it difficult for employees to comply with HR expectations and processes. The employee handbook is your all-exclusive guide to your business’s policies, procedures, and legal obligations. Not only does an employee handbook outline all employee rights, it also states employer expectations in regards to everything from time off allotments to dress codes. Employee handbooks must comply with state and federal laws, which vary depending on the number of employees and type of organization. Your employee handbook should also include other essential information that could help back you up when it comes to termination, discrimination lawsuits, and employee performance. In addition to simply having an employee handbook, it’s important to have each employee sign an acknowledgement form stating that he or she has read and fully understands the documents. By maintaining a current and accessible handbook, your employees can focus on their work, rather than internal compliance. While not essential, incentives and rewards can boost morale and motivate employees to work more effectively. As humans, employees often respond to incentives with the aim to achieve a goal. Employees who feel undervalued will likely not work as hard and do the bare minimum, especially employees who already make minimum wage. There is no one way to create an employee incentive program. However, studies have found that incentives have to represent at least 10 percent of an employee’s compensation to have a meaningful impact on performance. Small businesses in America employ the majority of the nation’s private workforce. Unfortunately, most small businesses do not have the budget to employ a dedicated HR team to manage their company’s personnel activities. As a business owner, it’s important to recognize problems in the workplace so that you can avoid issues in the future. How you respond to challenges and handle complications amongst employees can make a major impact on the long-term success of your business. For more information about handling HR and compliance, reach out to the experts in the BBG HR Division directly at bbghr@bbgbroker.com, or fill out our online contact form.